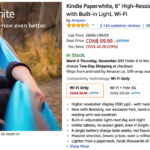 The app allows customers to browse from the menu and place mobile orders for pick-up from over 100 locations across Canada. Users can pre-pay for orders with MasterCard, Visa, AMEX, Ultimate Dining Gift Cards and Apple Pay. Users can also schedule ahead a “future order” for pick up, so it’ll be ready when you want it. Other features allow for easy reorders, with options for Favourites, Quick Order, Repeat Last Order and Order History. 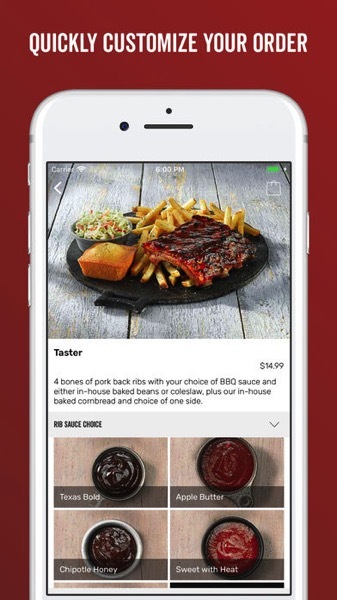 The app allows customers to earn SCENE points on orders and also redeem SCENE points for free BBQ as well. Earlier this month, Montana’s for iOS was also updated to support iPhone X.
Montana’s is owned by Vaughan-based CARA, which operates other restaurant brands such as East Side Mario’s, Milestones, Swiss Chalet, Kelsey’s, Harvey’s, Bier Markt, Prime Pubs and Casey’s. Last month, CARA launched Apple Pay support for their Swiss Chalet app. Click here to download Montana’s for iOS in the App Store.